Using protective gloves when working with machinery is always a good idea, but at the same time this also puts your fingers at a higher risk of becoming trapped in the equipment. 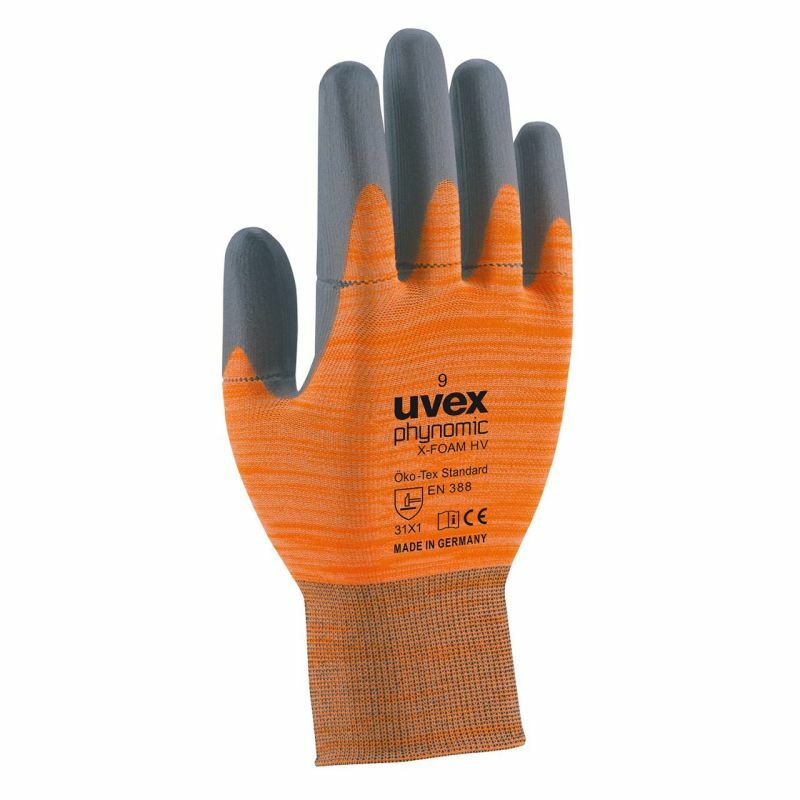 The Uvex Phynomic X-Foam HV Hi-Vis Grip Gloves are designed with a seamless break section integrated into the fingers, significantly reducing their tear resistance and thus hugely reducing the risk of serious hand injuries when using manually operated screwdrivers. The Uvex Phynomic X-Foam HV Hi-Vis Grip Gloves are available in six sizes that should suit the hands of most users. Please measure the circumference of your hand around the knuckles (excluding the thumb) with your hand open and your fingers together, and the length of your hand from the tip of your middle finger to your wrist. Please note that these gloves cannot and will not eliminate the risk of injury or provide a guaranteed level of risk reduction. The selection of this product should be supported by a formal risk assessment. The deliberate design of the product, which is intended to enable one or more of the digits of the product to detach or 'tear,' results in no 'Tear' grade being awarded within the standard four grade marking required to be shown by EN 388.